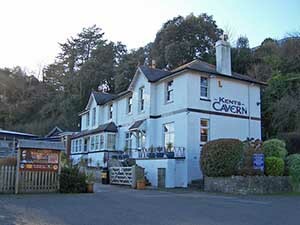 Kent's Cavern,Torquay is the home of the town's first residents. Getting on for 70,000 years ago humans lived in this cave, but it was not overlooking the bay then – seas were lower. The area was a wooded valley. The jawbone of a human thought to be over 30,000 years old was found in 1927. He/she now lives in the Museum. Families were living and hunting, children were playing and learning in these caves. Children were not learning the lessons they learn today, but the very different life skills they would need when they grew up. What sort of things were they learning? They would have been observing their parents and the other adult members of their extended family group in which they lived. They would have learned all about the plants, which ones were good to eat and those that were not. Then they would learn how to catch the animals they needed for food. 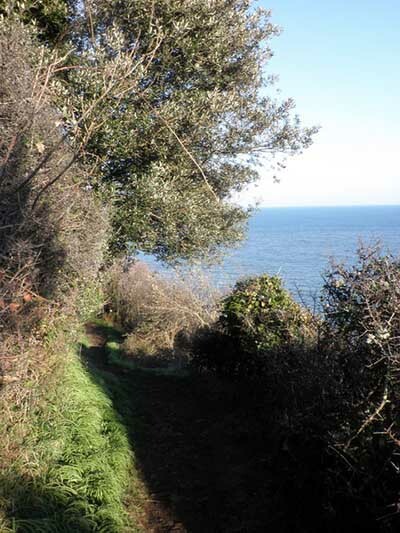 The group would have foraged far and wide and the children would have learned those trails. The area was different, it was a wooded valley. Ideal for the lifestyle these hunter gatherers needed to live. People created hand axes and other tools. Bones of the food they ate – mammoth, reindeer, and woolly rhino point to some village hunting organisation for they are not small animals. 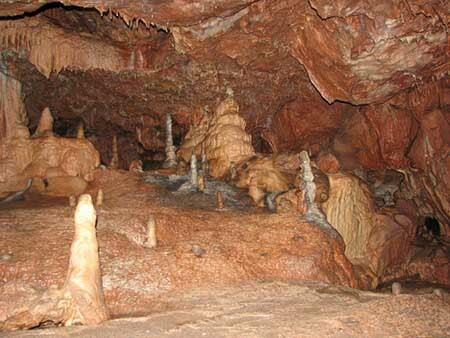 Kents Cavern have guided tours of this fascinating spectacular rock formation. See the right hand column for details. Allow about an hour for the tour and another hour to hour and a half for the rest. If it is a wet day allow for queues!!!! Not surprisingly as this a very significant Palaeolithic cave system not only in Great Britain, but Europe too, it is a Site of Special Scientific Interest and a Scheduled Ancient Monument and is protected of course. The Palaeolithic refers to the time period of stone tools being used by humans. They still used bone and wooden tools. Fire was known. Kent's Cavern is a Visitor Gateway to the English Riviera Global Geopark. Another fascinating insight into the past of this ancient area. Take a walk on the wild side to see more of ancient man and the world in which he lived. Ancient landscapes where the bear and the mammoth roamed. One of the great views on this walk. Would have been very different in Palaeolithic times! This would be a wooded valley scene. Or you might prefer to browse some more, please do. There are navigation buttons above on the left. Shop and Cafe at Kent's Cavern. See here for current opening times and guided tour times. They vary throughout the year.